CFSI in collaboration with Nehru Learning Centre for Children & Youth, New Delhi are screening CFSI’s film “Baaja” at Auditorium of the Main Library building at Nehru Memorial Museum & Library (NMML), New Delhi on 10th February, 2015 for children’s Municipal schools of Delhi. Eleven year old Shibu is carefree and compassionate. To guide his wandering energy on a constructive path, his widowed mother sends him to the city with his uncle. Shibu’s energetic response to city life and his free spiritedness annoys his neighbours and aunt. This forces his uncle to be strict with him and take him to his shoe shop to keep an eye on him. 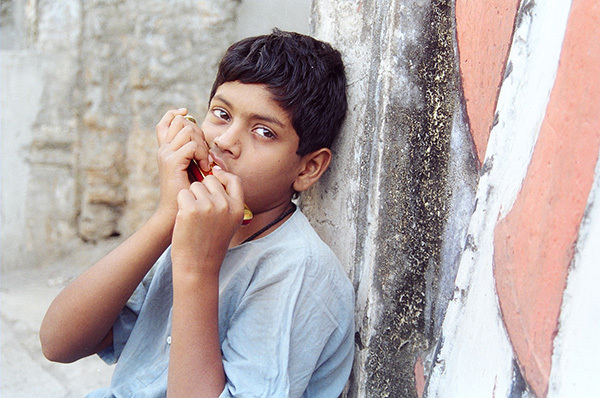 Once while carrying a pair or shoes to a doctor, Shibu encounters an unpredictable situation. His reaction to the same surprises the adults while demonstrating a clear chasm between indifferent adults and caring children.